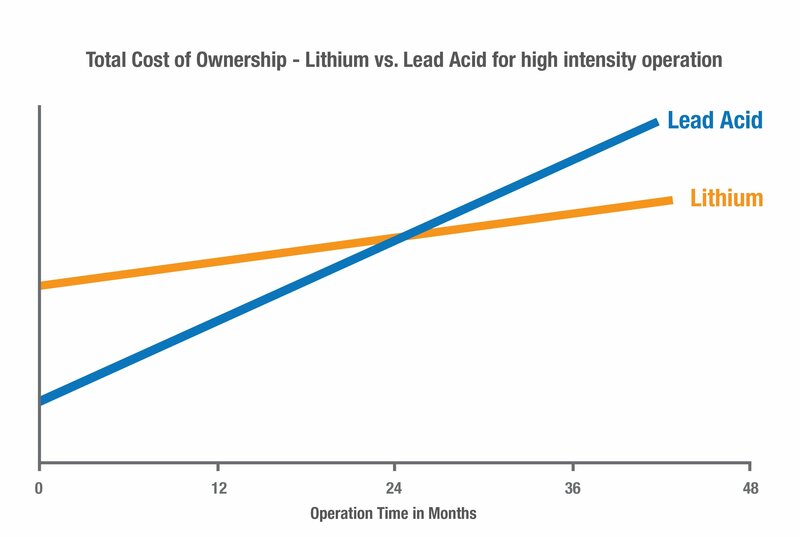 Lithium-ion batteries offer exceptional performance compared with traditional lead-acid. In this post we talk about the benefits of this new innovative technology. They are smaller, more energy efficient and recharge around eight times faster. Many businesses reduce the total cost of ownership by switching to lithium-ion, capitalising on the power of the technology. Lithium-ion charging times are so fast that the same battery can be used around the clock. All you need are short bursts of recharging while workers go for lunch and breaks. Lithium-ion batteries are especially useful in 24/7 operations. They recharge so much faster that instead of needing two to three batteries per forklift, you only need one. In many cases businesses no longer need charging rooms, which frees up space for storage and operations. Given property costs, this can mean a much lower total cost of ownership. Employees also become more productive when you switch to lithium-ion—no time is wasted switching batteries. 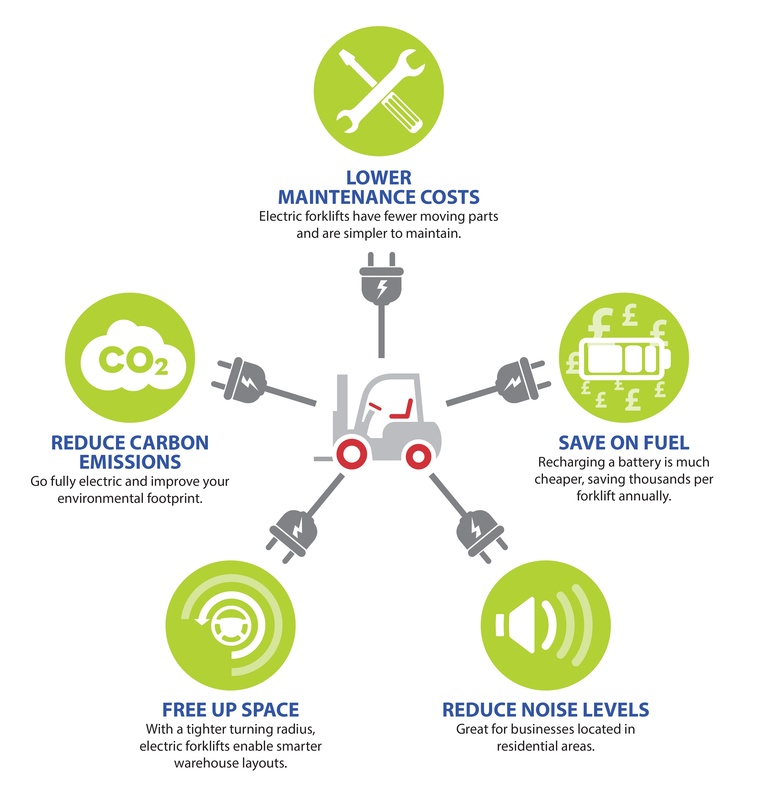 Lithium-ion forklift batteries are a next generation technology that can make a big impact on your business today. They offer a chance to reduce the total cost of ownership, especially for businesses running multiple shifts per day.